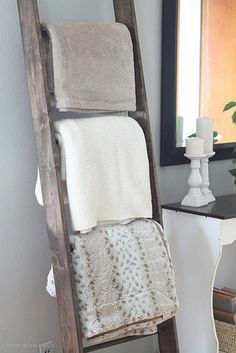 I've been wanting to try the ladder storage solution as I've seen a lot of designs online and I find all of them so cute. 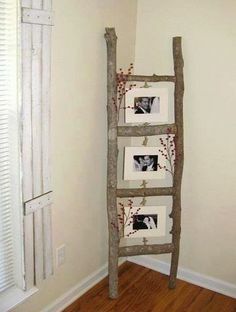 It can be used for a lot of things too, not only for storage but also as interior decor. I guess it's not also very hard to do and you would not even spend too much to come up with one. Best of all, it's space saving, too! I've compiled some of the best designs that I really love and I am hoping that I could come up with a piece or two. 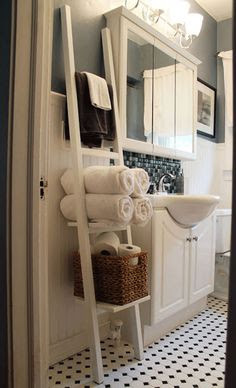 The ladder storage design could keep a lot of your home stuff like bathroom essentials, towels, linens, shoes, books and some decorative pieces, too. I hope it could also hold the tube amp at musiciansfriend.com and in case it can't, there's nothing to worry as you would never have enough of things you could store in your stylish ladder storage.